To spin an old maxim, there are two kinds of people in the world: minimalists and maximalists. (You also might say the two types of people in the world are those who think there are two types of people and those who don’t.) Minimalists cleave to the simple and pure. Minimalists keep a tidy house, have matching coffee mugs, and tend closets with white, button-down shirts hanging in the same direction. This doesn’t mean a minimalist is boring. Beautiful things stem from a few, synergistic ingredients. Think of a green apple on a white plate. Or Jean-Claude Ellena. Maximalists, on the other hand, walk around with pet hair adhered to their hind ends. They sing with Maria Callas on the stereo while pushing away wine glasses on the counter from two nights ago to make room for the mango they are massacring for a recipe they jotted down from a seafood vendor they met on the bus. Maximalists hang taxidermied trout on the wall next to a tiny 19th-century oil painting they bought at auction, all looking down on a collection of swirling Murano glass ashtrays blown in Elvis’s heyday. 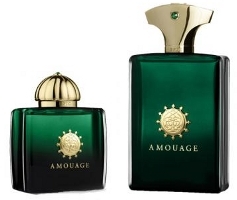 Amouage will launch the Library Collection, three fragrances meant to be “timeless pieces which are not subject to fashion”, in July. Sometimes it's tempting to compare perfume to music. For instance, Chanel No. 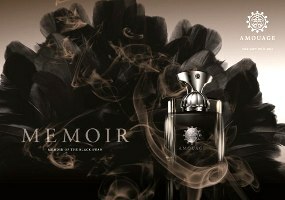 22 smells like singing aldehydes and white flowers with a whispering contralto of sandalwood, vetiver, and incense. Guerlain L'Heure Bleue smells melodic and moody like a Fauré tone poem. 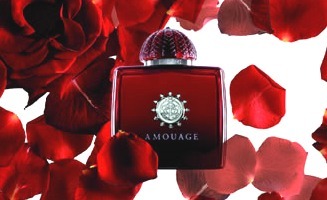 Balenciaga named a whole series of its perfumes after forms of music and rhythm: Prélude, Quadrille, and Rumba. And let's not even get started on Valentino Rock 'n Rose. 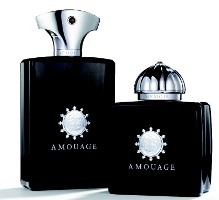 Amouage counted on the natural sympathy between scent and music when it named its latest fragrance “Lyric”.